Interview with Kaleem Ullah, University of East Anglia, England. Please give us a short introduction about yourself, and in particular how you ended up getting involved with hijama? My name is Kaleem Ullah, I have a professional background in Physiotherapy and Public Health (MSc). I am currently studying Medicine at the University of East Anglia where I am in the latter stages of my medical education. I have a keen interest in Hejamah and in my spare time I worked along with a few colleagues to establish the British Cupping Society to further our aims. Hejamah was introduced to me by a friend following a back problem I had that was untreatable by conventional medicine. I received one treatment session from a friend and the problem instantly subsided and never returned. I spoke to my lecturers at my university about this and they were impressed and challenged me to investigate the matter further. Since then I have attempted to practice, research, teach and advertise the practice of Hejamah. 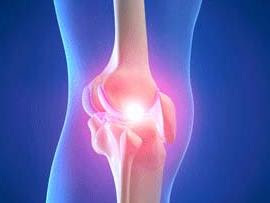 Anterior Knee Pain was the condition that I had investigated for my Masters thesis; however we as a society and individuals have kept case studies of numerous other conditions. – Please explain briefly how the studies were carried out? How many patients took part and how long did it take? Initially, the study recruited more than 35 subjects, however on commencement, only 25 met the criteria and were eligible. The study began in 2005, and was completed in the summer of 2006. We wanted to investigate the effects of Hejamah on anterior knee pain, although the study used a small sample size, we found that all the subjects had shown significant improvements in their ranges of movement, pain scores and their perceptions of well being. These effects were maintained over a three week follow-up period. Yes insha’allah, we are planning to investigate different conditions affecting the body. Currently we are collecting data on case-studies and their follow-ups. Once I complete my medical education, I am hoping to be able to spare more time to conduct a large scale investigation on the effects of Hejemah at both clinical and physiological levels. I am able to self treat using hejamah on parts of the body. The exception being the back and the head I suppose. I use Hejamah as and when necessary, as the prophet Muhammad (pbuh) recommended us to. I do not suffer from any chronic illness (alhmadulillah) but I do play contact sports regularly and find that Hejamah helps the recovery from knocks and bruises a lot better than most medication does. – You are part of the British Cupping Society (BCS). Please tell us a bit more about that, how people can become members and what have you achieved so far? The British Cupping Society (BCS) was established in 2008 by a group of Medical Professionals and Cupping Therapy (Al-Hejamah) experts in response to a growing interest. The BCS was the first society to conduct a scientific investigation into the effects of Cupping Therapy in the UK in 2005 which subsequently lead to wide television and press coverage (nationally and internationally). This was followed by a great demand and desire to establish a society that can deliver prophetic medicine professionally whilst catering for the public needs. Purpose and aims: The purpose of the BCS is to provide leadership in the practice of Cupping Therapy. The aims of the BCS are to preserve, protect and promote the safe practice of Cupping through research and development for the benefit of the public. To further these goals, the BCS has continued to promote Hejamah (nationally and internationally) through seminars, workshops, television shows and at science conferences. We are pleased to have built a strong reputation for what we do and have established very good relations with a number of leading Cupping therapy organisations nationally and internationally. Structure: The BCS was founded and is currently managed by a team of qualified medical and health professionals and is an autonomous body. A council is elected and meets annually to address issues of hierarchy. It is a non-profit organisation utilising all funds to promote the practice of Cupping Therapy through an array of activities including research, lectures, seminars, conferences and courses. – Finally where can readers obtain or purchase your above research papers from?